Indigenous red grape Cypriot variety. Cultivated at mountainous organic vineyards of Limassol geographical region, from low-yield vineyards, at 600 meters altitude. Red Wine Making Morning harvest. Wine making and aging in new french oak barrels. 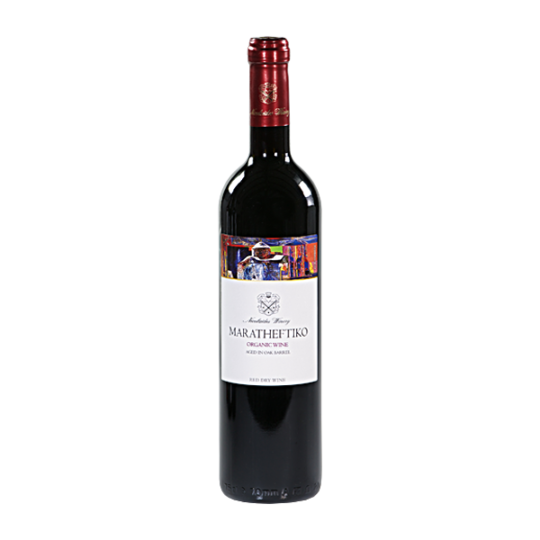 This Maratheftiko is recognized by its deep ruby colour, with emerging aromas of violet, sour cherry, chocolate, red forest fruit, vanilla and noble spices. 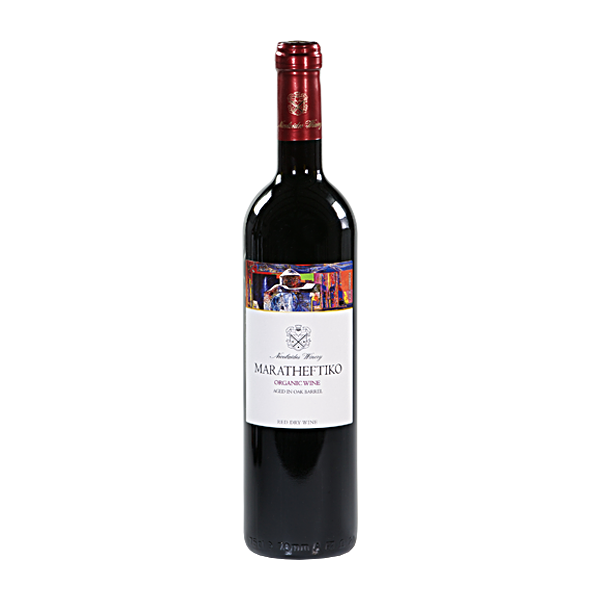 It is rich in soft tannins and it has a long after taste.